Armed with great resilience and determination, Immaculate; a law student at Kampala International University is destined for greatness. Her impressive organizational and leadership skills have earned her widespread recognition within the university community. 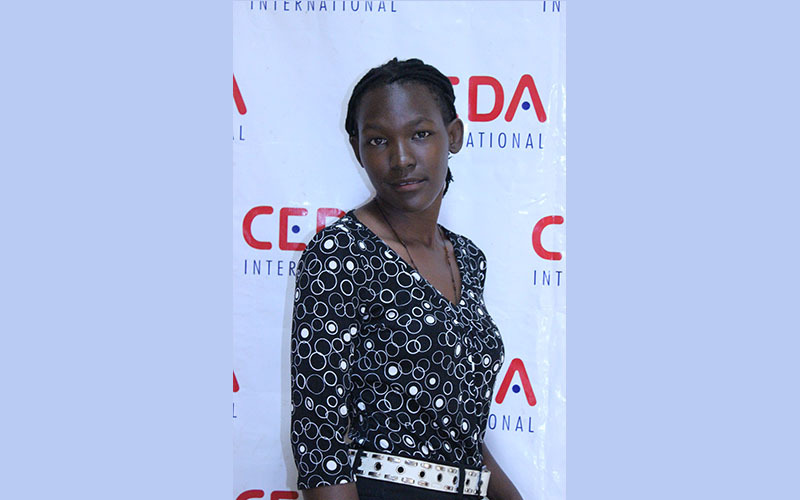 “She is a leader and a mentor” her colleague described her during the Inter University Debate in which Immaculate inspired her team and university to the second position out of the ten universities that took part in the debate which was held at Makerere University. She is not only passionate about serving or leading; she lives an exemplary life through her speech, conduct and deeds. Hard work and service above self are her trademarks. Immaculate clearly demonstrated these when she successfully organised community dialogues for the university community as the #LetGirlsVote Club President. Immaculate attributes her knowledge and the skills she has acquired to the various capacity building trainings organised for university students. “I am a strong woman and I believe I will make it.” Immaculate states confidently. Immaculate does not only inspire others, she also draws inspiration from her fellow young women. That phrase inspired her to freely express herself with confidence despite her being a physically short and small young woman. Immaculate continues to pay it forward by ‘stepping up so that others may not be stepped on’. She does this by speaking on behalf of her peers because according to her, this is what a strong woman ought to do. She believes in conquering one’s demon and since she over came her fears, she continues to mentor her peers to gain confidence…one girl at a time.